Ria Timmermans is a customer of ours from Holland. She stays in touch with our store regularly, either by visiting or emailing with us. 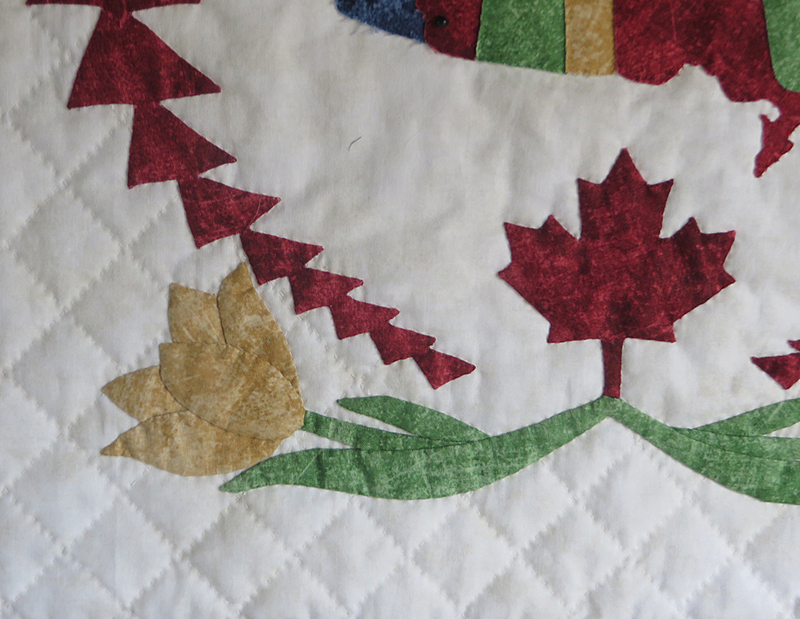 When she isn’t in Canada for a visit, her sister-in-law, Riet, comes in and picks up what she needs. Riet lives here in Calgary. This year, both couples are celebrating their 50th wedding anniversaries. 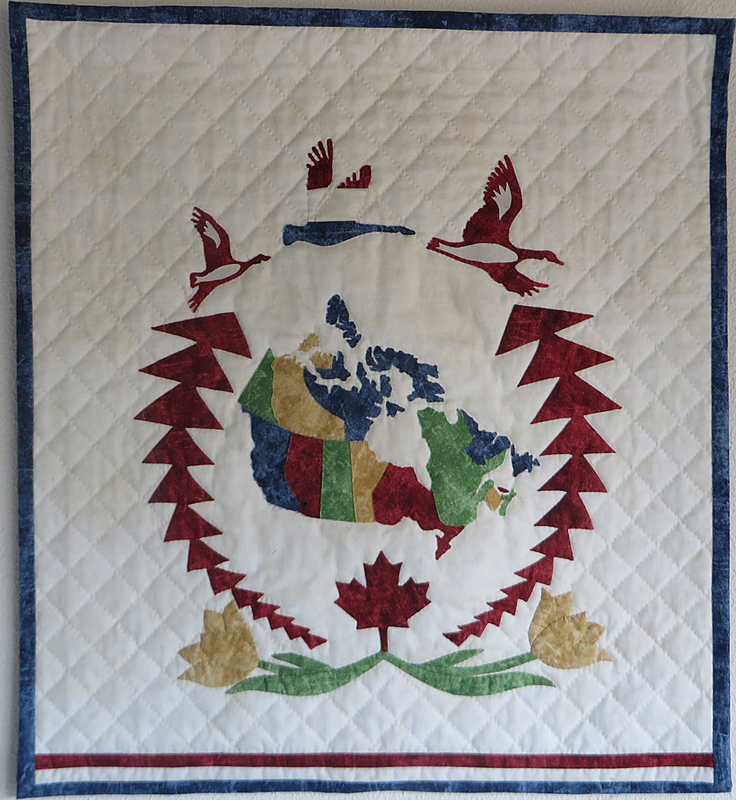 For the occasion, Ria made Riet a gift using our All Around Canada pattern (our winning Trans-Canada Block Party design) and the Northcott Canadian Sesquicentennial fabrics. But she changed it up a bit, and added “A Touche of Holland”. 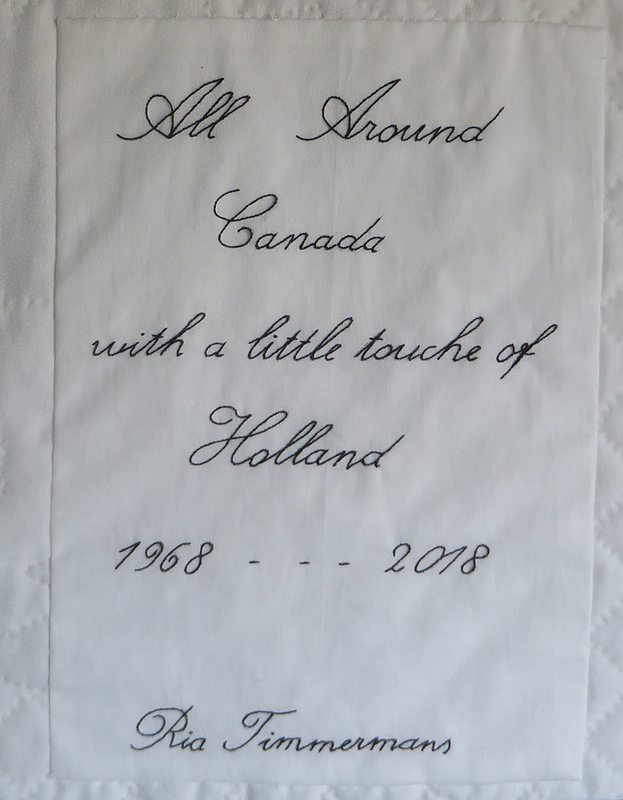 I think she did a lovely job, and made a unique celebration of their anniversaries and their joint friendships and heritage. Bravo Ria for such a lovely wall hanging. 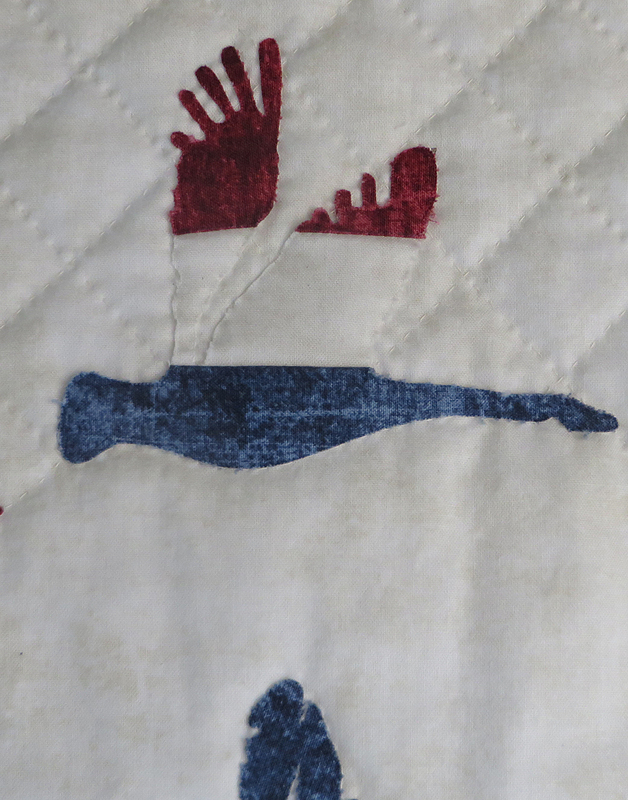 We look forward to Riet bringing it in for a personal viewing after the party!